The work of real estate agents is full of tasks that often are not learned in an academy, on the contrary, it must be in the field where certain aptitudes and attitudes are known that will tan you as a professional, this doesn’t mean that your as a leader you spend time teaching your employees with techniques to improve their performance . Analyze the points that you should reinforce: The first thing you should do is to make a preliminary study of what the topics you can touch in the training sessions, this can be done easily by conducting surveys or meeting with your employees to know what they think. This preliminary analysis will give you the possibility to observe the whole panorama to avoid wasting time and resources. Presents the basic information: This means that you should be direct, concise and balanced because obviously if you submit too much information in a short period of time the learning will be less effective and the fatigue will be greater. Presents vital and necessary information that all your employees must know at that moment and from there encourages research and practice. 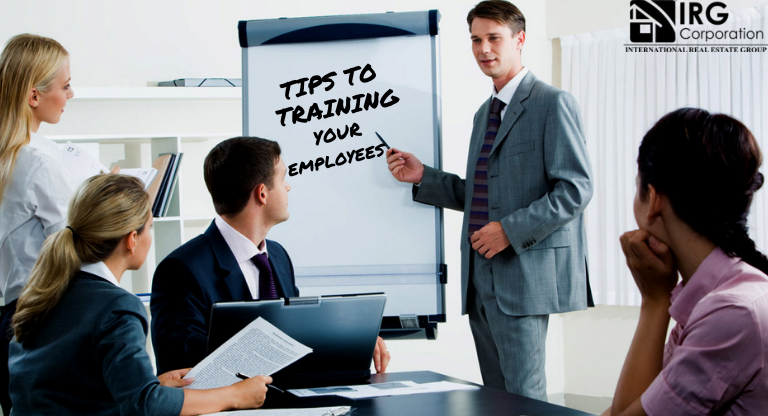 Create attractive trainings: Workouts can’t be boring and static, on the contrary, you must create courses or dynamic talks that allow you to integrate your employees old or new. The way in which you develop the information will be the way in which you will facilitate the retention of the data that you are about to give. Evaluate the results: In order to achieve this, you must first set up metrics that are measurable and logical with the aim of training because only then will you obtain the necessary data to know whether there was success or not. Combining the reception of data within the company with the performance with the public will be the one that gives you at the end of the day the final evaluation of your effort. The big real estate companies are always responsible for creating training plans for their employees for the sole and simple reason that this is a win for all since the advantages that result from these actions have a direct impact on the fulfillment of tasks and in the achievement of the established goals. “Plants are straightened by cultivation, education by men”. Swiss writer, pedagogue, philosopher, musician, botanist, naturalist and polymath.